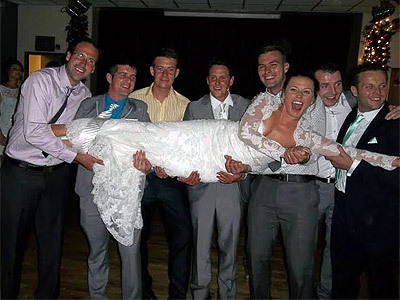 "Weddings, Christenings, Birthdays & Kids"
Weddings, Birthdays, Christenings - whatever your celebration you can be sure that Gina will strive to give you and your guests a fantastic time. If you are planning any kind of party and you have children attending, why not ask Gina to keep them occupied with balloon modelling or face painting, earlier on whilst the adults have a glass of wine or two, relax and discuss the day's events, or even join in the fun. If you are looking for a great evening of music for your wedding celebration, Christening or birthday Party, I have it covered with all genres of music updated each week.Why hire all kinds of entertainers when you can have everything with Gina? Required by many venues, Tiger Feet Entertainment has a current PLI policy with National Association of Disc Jockeys in the amount of £10 million. Also required by many venues, Tiger Feet Entertainment has supplied satisfactory evidence of holding current PAT inspections of their equipment dated within the last 12 months. A Method Statement outlining Tiger Feet Entertainment&apos;s Health & Safety procedure for setting up disco equipment has been provided. 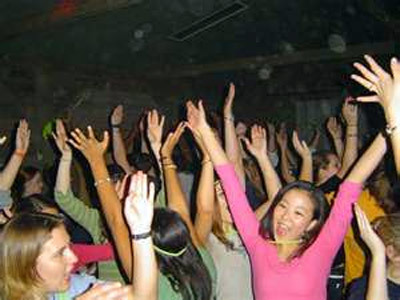 Tiger Feet Entertainment has provided Risk Assessments undertaken at events sourced via needadisco.com, indicating that they can undertake these competently. Why do people choose to book Tiger Feet Entertainment? seems to have a more personal approach for our low key wedding. Others seem to want to whip everyone up into a frenzy! "Gina was fab. Had a good selection of music. Played from the playlist provided and was very accomadating with guests requests. Have already recomended Gina to a friend. Would definately use her again. " "Thank you so much for your lovely comments, I do hope we meet again soon, maybe daughters engagement, wedding. ?? Lovely family.. "
"We had quite a lot let downs due to illnesses but Gina made my parents night everyone that did attend thoroughly enjoyed it would recommend her nothing was too much trouble "
"Thank you so much for your lovely comments, I do hope we meet again soon"
"We were extremely happy with the service, communication and overall handling of our wedding reception entertainment. Out of all the people we had to deal with to organise the wedding, Gina was the best and easiest by a mile! I wouldn't hesitate to book or recommend Tiger Feet again to anyone we know, Thank you!" "Gina was very professional from the outset. She kept us informed of the booking process and deposit. She accepted our many suggestions for our requests on an 80s theme with patience and good humour but also played music from other dates to suit requests and the guests. Many thanks." "Thank you so much for your lovely comments, I do hope we meet again soon "
"Gina was perfect. She was professional and had excellent communication. She handled 20 squaddies perfectly and we couldn't be happier with the night. (We had a military wedding)"
"Thank you so much for your lovely comments, I do hope we meet again soon, p.s had my favourite squaddies!!! They were fun"
"Sorry to have to say i had to cancel Gina due to personal circumstance but before that Gina was lovely and very helpful and if the need for a DJ again i would choose Gina "
"I am so sorry that you had to cancel, if you do decide to have your party in the future, let me know ... your deposit will still stand.. you take care Gina"
"Dear Sir/Madam, Gina Morgan of Tigerfeet was absolutely fantastic. I had an nightmare morning yesterday as my venue was cancelled due to bad weather that caused the road to be inacessible for vehicles to get to the golf club so I frantically changed to a different venue that meant Gina was being told to go to one place from another and she took it all in her stride and was a consummate professional who the entire day helped keep me at ease. Gina was brilliant at keeping the kids entertained and the sweet buffet was a great additional feature. I'm sure Gina is going to get more bookings after yesterday because everybody at the event thought she was great and was asking about how to book her for future events. Thanks, Neil Jackson"
"Gina at tigerfeet was excellent. Very helpful, friendly and accommodating. We wanted a low key approach and she tailored the disco to our needs. Would definitely recommend her to others." "Gina absolutley amazing! Her sweet table went down a treat for adults and children! Kids loved having their Face painted and the tattoos! Gina was lovely and was amazing throughout the day! Definatley use again and highly recommend. Thank you so much "
"the christening a great day thank you for letting me be part of your celebration x"
"Gina was excellent. The kids loved her and she played all the songs that we had asked her to. " "thank you so much for your lovely comments, hope to see you all again soon"
"Gina worked with the kids. She was so good at finding out what they wanted to do. She rang me a couple of weeks before and we went through any requests I had. 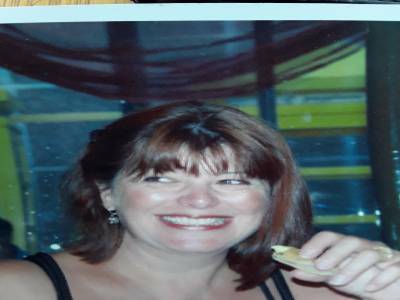 She put so much effort into getting everything exactly as we wanted it "
"I am so glad everyone had a great time and look forward to seeing you all again Gina "
"A great DJ ... very professional and a truly lovely woman. Highly recommended to all. Thank you." "Hello thank you so much for your lovely comments, hope to see you all again soon, may join your archery class x"
"Gina was amazing! The kids loved her and many of the adult guests commented on how fab she had been. Highly recommended "
"Hi I had a great time too, you have a lovely family and great friends, hope to see you again in the future, take care x"
"We would highly recommend Gina and will certainly be using her again for any other functions ☺"
"I am so glad your daughter and friends had a great time, see you all again soon x"
"Gina was great over the course of the night, face painting for the kids and a few little party games absolutely brilliant kept them well entertained! " "thank you so much for your lovely comments, I really do hope I see you all again soon"
"Had a great time. 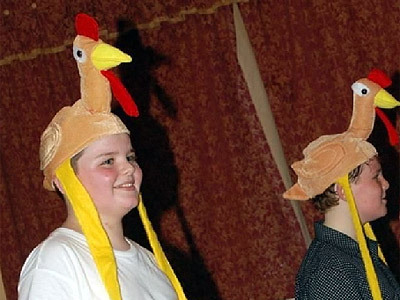 The Karaoke and games went down a treat." "i always have a great time at parties, and yours was one of those times, you have a lovely family and great friends and I really do hope to meet up with you all again soon x thank you"
"Just like to say a massive "Thank You" to Gina from Tiger feet, She had a huge task to entertain 60+ children of all different ages and did so with professionalism and ease, the children had a fantastic time and I would definitely book and recommend to others. 5 star rating could not fault. " "thank you so much for letting me be part of your awards day, you and your foster carers are amazing and look forward to seeing you all again soon x"
"Gina was absolutely brilliant and everyone had a brilliant night. Communication before the event was great, which put me at ease with everything else to organise. She was there to set up well before the event and i gave her a list of songs prior to the night so she had a few songs to get going with. Thank you so much Gina! We'll definitely be hiring you again for any future parties we have x"
"thank you so much for your lovely comments, your family and friends are great fun, hope to see you all again soon"
"Gina was very friendly and professional, arriving on time and was able to be flexible with a few initial problems caused by the venue. Children were thoroughly entertained and she really helped me with the games." "star lady hope to see you again soon thank you for your lovely comments"
"Brilliant DJ, really made our engagement party! I can't thank Gina enough. She arrived early, set up her equipment and also helped set up other decorations. She kept our two Godkids entertained with balloon animals and then helped to tidy up after the food. Thank you so much! Would highly recommend. " "thank you so much for letting me be part of your celebration, hope to see you again soon"
"Absolutely fantastic! Gina was an amazing DJ and children's entertainer, all the children loved her! Couldn't of asked for anymore. Would definitely recommend. Thanks again"
"thank you for your lovely comments hope to see you again soon"
"Ours was a last minuite booking and turned out to be the best disco we have ever had. Would definately use again and recommend." "thank you for your comments would love to see you again"
"Gina was fab and entertained all the kids for hours she made it a fun experience and did lots of different activities. Overall very happy with Gina and would definetly reccomend her!" 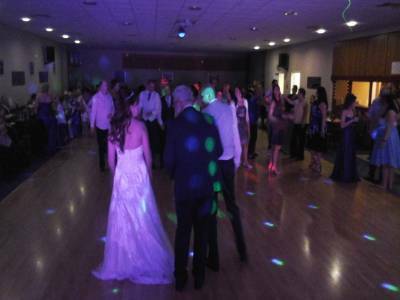 "thank you so much for your lovely comments hope to see you again soon"
"She was fab, will recommend her to my family and friends, will use her again if ever need a DJ. fab day had by all." "I will look forward to meeting you and your family again, you are certainly a fun family, loved the group hug at the end, and thank your sons for helping me carry gear down the stairs. much appreciated. love to all Gina x"
"Absolutely loved Tigerfeet, she played the music i requested prior and more :)! Adapted to other guests requests and got everyone up dancing :) even got a few up karaokeing. Fantastic night and atmosphere was amazing. Did a battle of the sexes dance off aswell which was fun! A memorable 21st and thanks to Gina, wouldnt have been half as good without you :). Would recommend." "thank you so much for letting me be part of your celebration, and I do hope to see you all again in the future, x"
"Gina was great from start to finish, all her correspondence was spot on. She arrived early and was fantastic all evening. We would definitely recommend her to our friends. Thank you Gina for being part of our day and making it such a success"
"Fantastic DJ - really made the party! Played a good variety of music that everyone got up to dance to. Particularly enjoyed the 'Dance Off'. I would recommend Gina to anyone!" "Excellent night, Gina had everyone up dancing. Would certainly book again." "thank you so much and yes would love to see you all again, clubland fever !!! great atmosphere"
"Gina was excellent and would recommend to anyonee"
"Thank you I look forward to seeing you both again." 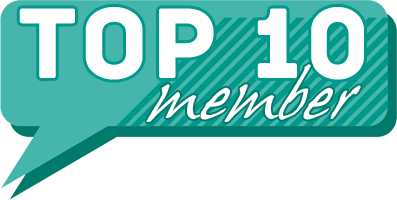 "Gina was fab everyone has complimented her would highly recommend. We will defiantly be using tiger feet again in the future. 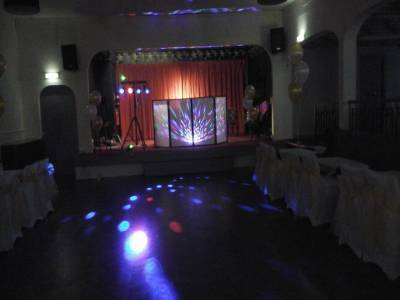 Can;t thank Gina enough for making Ruby;s day so special x"
"thank you so much for letting me be part of your special celebration, hope to see you all again x"
"Excellent DJ went above and beyond what we had originally payed for. Numerous comments from the guests at how good she was on the night .Thanks"
"thank you for letting me be part of your wedding celebration, hope that you had a good honeymoon and hope to see you again soon"
"We thought that Gina from Tigerfeet was amazing. The children at our daughter;s Christening absolutely loved her and we had tantrums when they had to leave! Would definitely recommend as an entertainer and will be using her for any future events we have." "Thank you so much for your lovely comments and thank you for letting me be part of the Christening. 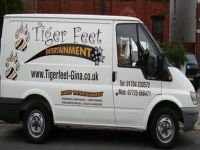 Hope to see you again in the future Gina x"
"This is the second time we have booked Tiger Feet and again we were highly impressed with the overall service provided. Would definitely recommend and if you;re looking for a reliable DJ please book Tiger Feet!" "thank you for your lovely comments and will hope to see you again soon"
"Super efficient, friendly and enthusiastic! A great service from start to finish. Very easy to book and a pleasure to work with. Would recommend Tiger Feet to anyone wanting a great event. 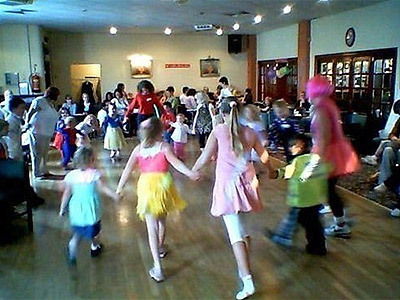 Thank you :)"
"THank you for your lovely comments"
Tiger Feet Entertainment also offers a range of additional party services not directly linked to musical entertainment. If you are contacting Tiger Feet Entertainment about an event, it's always a good idea to include the DATE, LOCATION, EVENT TYPE, AGE GROUP and TIMINGS to speed things up!